The purpose of this position is to provide key program and administrative support related to the contracted provision of medical and support services for Persons Living With HIV (PLWH). The HIV Resources Administration Unit (HRAU) manages two Ryan White HIV/AIDS Program (RWHAP) grant programs, a Housing Opportunities for People With AIDS (HOPWA) grant program, and City of Austin social service grants, all of which provide funding to subrecipient community-based nonprofits. HRAU does not provide direct client services. 1.Assures compliance with conditions of grant by monitoring and analyzing Interlocal agreements, contracts, grants and subcontract expenses and activities; ensuring compliance with federal and local laws. 2.Monitors and analyzes grant expenses and activities by identifying and solving potential or existing grant problems. 3.Initiates budget developments and revisions to ensure efficiency and effectiveness of grant services by negotiating with grant funding sources. 4.Manages the subcontracting process by preparing and processing RFP/RFA; preparing grant subcontracts; negotiating work-statements/budgets; executing contracts. 5.Coordinates grant closeout activities by ensuring reports are submitted to grantors; ensuring all grant funds are fully utilized; liquidating all unused budgeted funds; confirming that all grant funded equipment is accounted for. 6.Serves as liaison between department, City and grant funding source by attending meetings; responding to information requests; resolving issues between parties involved. 7.Enhances and ensures quality of services provided by contractors by coordinating governmental and private audit responses; coordinating and attending site visits. 8.Assists in identifying new opportunities by researching, identifying and assessing new grant opportunities and grant renewal opportunities. 9.Prepares reports by collecting, analyzing, and summarizing information. 10.Maintains files and records by filing and documenting grant activities. 11.Assists in completing/submitting grant applications by analyzing data and applications. Graduation with a Bachelor’s degree from an accredited college or university with major course work in a field related to Business Administration, Public Administration, Economics plus two (2) years of experience in a related field. Master's Degree may substitute for one year of the required work experience. Experience administering grant programs and social service contracts, including application writing, performance review, budgeting/financial analysis, and reporting. Knowledge of and experience related to provision of medical and support services to Persons Living With HIV (PLWH). Experience in business communication and professional writing. 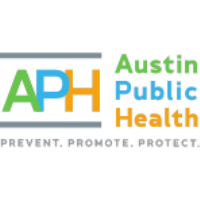 For additional job opportunities with Austin Public Health, click here APHJOBS.